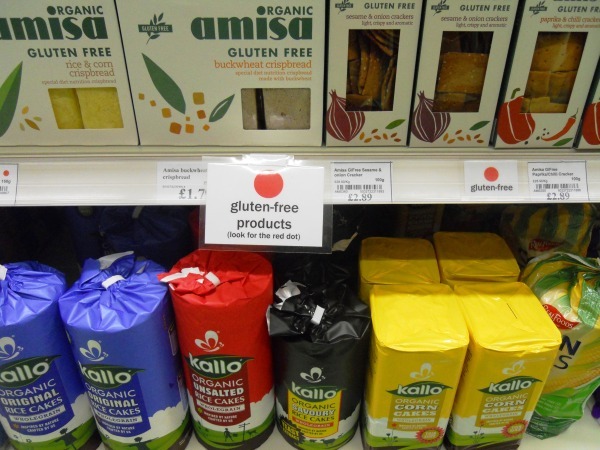 To coincide with a nationwide series of events in May (Coeliac Awareness Week runs from May 14th – 20th), The Better Food Company have organised a series of tasting sessions, meet-the-producers and other events to showcase their wide range of gluten and wheat free products. With visits from local producers, such as Bristol’s Pukka Herbs, and Bath’s Aromafoods, and nationwide brands such as Nairns, May promises to be lively and informative in both stores. The Better Food Company owns a large shop and café in St Werburghs and a food hall and deli in Clifton. The St Werburghs store is now in its 10th year. Both shops are about 90% organic, and specialise in selling locally produced goods. Over the past year, more emphasis has been given to providing exciting alternatives to those with special dietary needs and preferences, including dairy free, sugar free and gluten free. The Better Food Company was recently awarded second place in a country-wide competition to find the best independent local retailer, and has been awarded the Soil Association’s gold standard for its organic café in St Werburghs, and its two delis. Amanda continues, ‘One of the most exciting things for me is how our staff have taken to these new products – we now have a great knowledge base among them – we love our ‘red dot’ system which helps customers identify relevant products’. For more information, please refer to www.betterfood.co.uk.